• Jerry E. Phieseis, 35, of 2679 Riverside Drive, DuBoistown; DuBoistown police; simple assault and endangering the welfare of children for allegedly grabbing his 12-year-old stepson by the arm, the neck and the seat of his pants, dragging him down a hallway in an attempt to throw him out of the property during a domestic disturbance at home on April 3; released on $15,000 bail. • Makenna Brea Jones, 18, of 11068 Route 14, Ralston; state police; burglary, felony trespassing, corruption of minors and possession of drug paraphernalia for allegedly entering a shed illegally at 27 Thompson St. in McIntyre Township with the purpose to smoke marijuana with three juveniles on March 30; released on $15,000 bail. 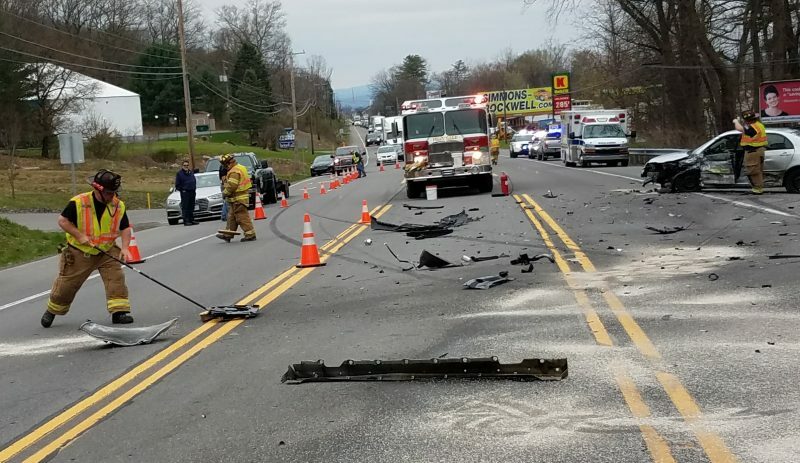 • Johnny Ray Brock, 36, of 34 Pheasant Lane, Trout Run; Old Lycoming Township police; DUI, possession of marijuana and careless driving in the 3500 block of Lycoming Creek Road on Feb. 28; sent a summons to appear before a district judge. • Deana Lynne Kurtz, 46, of 2681 Riverside Drive, DuBoistown; state police; DUI and careless driving on the Arch Street bridge on Feb. 24; sent a summons to appear before a district judge. • Justin Ryan Cheesbro, 34, 326 Bridge St.; city police; misdemeanor shoplifting for allegedly stealing $20 worth of merchandise at Goodwill, 621 Hepburn St., on Jan. 30; released on $5,000 bail; this was his second shoplifting arrest. • Intisar N. Martin, 40, of 928 W. Fourth St.; city police; DUI, possession of a controlled substance without a prescription, possession of drug paraphernalia, careless driving and driving with a suspended license due to prior DUI conviction following a crash in the 500 block of East Third Street on Nov. 29; released on $5,000 bail. • Eric Lawrence Cole, 35, of 715 Market St., state police; unsworn falsification to authority for allegedly putting down false information on an application form when he attempted to purchase a firearm at Troxell’s Sporting Goods, 2715 Lycoming Creek Road, on Nov. 25; sent a summons to appear before a district judge. • Jessica Lynn Clees, 29, of 1319 Penn St.; city police; stalking, defiant trespassing and harassment following an incident with victim Tanya Williams in the 400 block of Market Street on Nov. 22; released on $5,000 bail.